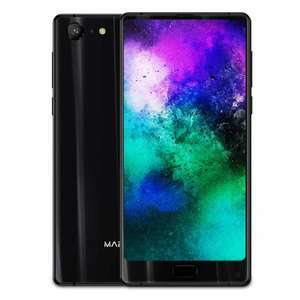 Saw the deals for the MAZE Alpha, has some fairly good reviews out there but one of the main drawbacks being the camera - the MAZE Alpha X has a supposedly much better one plus a higher resolution screen and some other improvements. Decent price? Gearbest - Chinese seller - Best of Luck ! It appears you troll phone threads saying exactly the same thing . You said almost identical in the 'oukitel mix' post/deal . Why don't you at least offer some reason behind your cut and paste comment instead of blanketing all Chinese phone deals with a statement that offers very little insight to anyone . You're right - personally I've ordered from them before no problems but I know others have.. Definately something to consider before making an order. I've ordered a few things from GearBest recently, and the EU warehouse stuff especially is delivered impressively quick. It appears you troll phone threads saying exactly the same thing . You …It appears you troll phone threads saying exactly the same thing . You said almost identical in the 'oukitel mix' post/deal . Why don't you at least offer some reason behind your cut and paste comment instead of blanketing all Chinese phone deals with a statement that offers very little insight to anyone . I would have thought it was obvious ! Many members do not even know these websites are Chinese seller sites - Do you know which ones are ? Maybe you know about the pitfalls ? but many members do not , why else would a memory card from a Chinese seller go hot yesterday ? I'm sure even you wouldn't buy a 64Mb memory card from a Chinese seller to "save" £5 - would you ? I've tried to do it the correct way , Asked HUKD to put a "Health Warning " on Chinese seller deals , but I didn't even get the courtesy of a reply . I'm sure you must have read all the sob stories on here from members who spent their last cash on presents from these sites , only to effectively lose it . Reasons why (as you asked )? Liable for VAT and import duty , no EU warranty , no feasible way of returning (£50+ tracked for a phone for example) + "restocking fee " . If looking after other members interests and informing members so they can make an informed decision is in your view "Trolling" then you have a very warped and juvenile view of members helping each other . Buying from a Chinese seller can often be fine , but only for those who fully understand the risks and knowingly take the gamble . That OK with you ? No mention of Google Play Store?, or did I miss it, as a general Rule Google isn';t allowed in China, some phones come with Play Store Installed on them as an Export Item, some dont. Plus its not always a simple as just install the App and Google Services, some phones need rooting, and personally rooting a Chinise Phone can a real pain, or not do able. Could be a Show Stopper. I would avoid. Get the genuine bezzel-less phone - Xiaomi Mi Mix 2!!! Eagerly awaiting you providing a link to a £160 Mi Mix 2. Hell, I'd take the original Mi Mix for £160. I have the original Maze Great phone for the money.... Currently waiting on the Vernee Mix 2 from gearbest. I have the original Maze Great phone for the money.... Currently waiting …I have the original Maze Great phone for the money.... Currently waiting on the Vernee Mix 2 from gearbest. Is it easy to find your way around it? I would have thought it was obvious !Many members do not even know these …I would have thought it was obvious !Many members do not even know these websites are Chinese seller sites - Do you know which ones are ? Maybe you know about the pitfalls ? but many members do not , why else would a memory card from a Chinese seller go hot yesterday ? I'm sure even you wouldn't buy a 64Mb memory card from a Chinese seller to "save" £5 - would you ?I've tried to do it the correct way , Asked HUKD to put a "Health Warning " on Chinese seller deals , but I didn't even get the courtesy of a reply . I'm sure you must have read all the sob stories on here from members who spent their last cash on presents from these sites , only to effectively lose it .Reasons why (as you asked )? Liable for VAT and import duty , no EU warranty , no feasible way of returning (£50+ tracked for a phone for example) + "restocking fee " .If looking after other members interests and informing members so they can make an informed decision is in your view "Trolling" then you have a very warped and juvenile view of members helping each other .Buying from a Chinese seller can often be fine , but only for those who fully understand the risks and knowingly take the gamble . That OK with you ? The researchers discovered that Adups’ firmware transmitted data packets to a Chinese server every 72 hours. These packets contained user’s call logs, text messages, contact lists, GPS location and other data. Yes that as well but I tried to keep it fairly simple for @Mabbs who is plainly not the sharpest tool in the box . One day I hope HUKD will revert to their policy (since the site started) of barring these Chinese sellers . Sadly money talks (referral fees ) and HUKD are happy to see its less savvy members get fleeced . If you do the research, you'll see OnePlus was harvesting a lot of personal data, and some of the Samsung's had spyware loaded on the factory image. Even Uber's app was harvesting data from the secure iPhone environment. The challenge is not limited to small name Chinese phones, the challenge is that we hold too much data on our smart devices, so hackers will always target them. Where do think iPhones are made? Answer China. Nothing wrong with Chinese sellers, accept you get more for your money! Where do think iPhones are made? Answer China. Nothing wrong with …Where do think iPhones are made? Answer China. Nothing wrong with Chinese sellers, accept you get more for your money! Dumbest argument ever put forward. Why do people keep coming out with tosh like that when we all (including the poster) know that it's just BS. Goods made to Chinese standards for Chinese companies are simply not in the same league as goods made to western standards for western brands by Chinese companies. This is not rocket science. Yeah but I’m used to big phones had all the Samsung notes and so on!!! It's not the manufacturer of the phone at question, it's the retailers, etailers, sellers. Your options are limited if anything goes wrong, like it simply not arriving, doa or developing a fault.